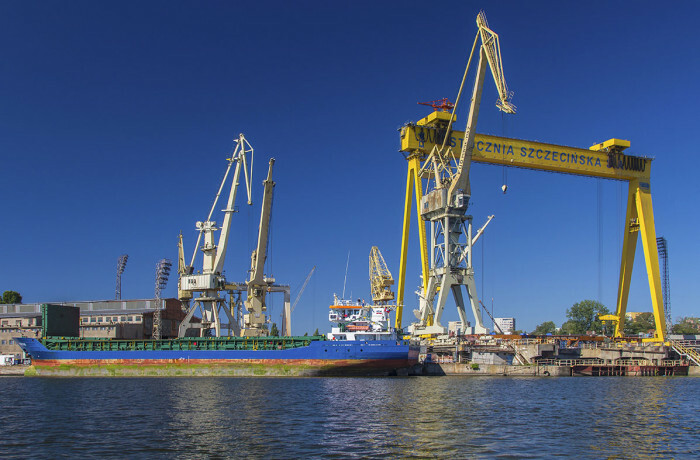 On March 31st Nauta Shiprepair Yard launched partly outfitted fishing vessel for the Dannish client – Karstensens Skibsvaerft AS. Aine Fishing Company Ltd from Ireland will be the ultimate buyer.Aine will operate in the waters of the North Sea. 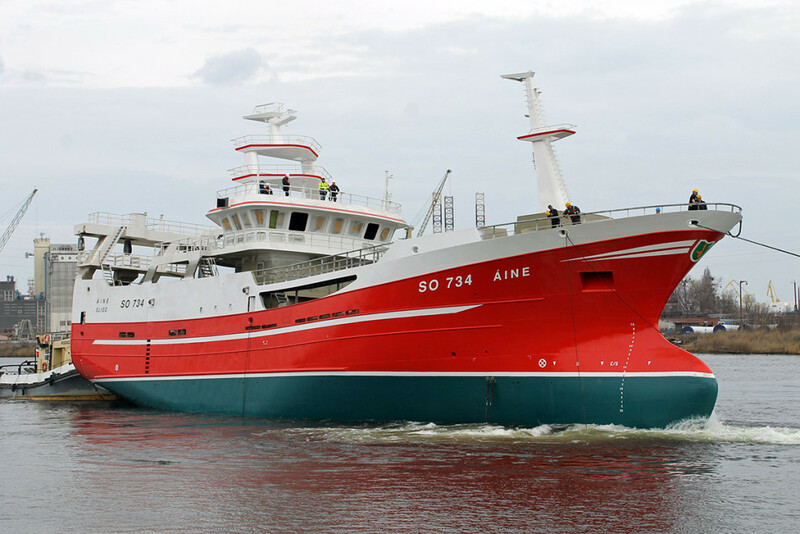 Aine is one of smaller vessels ever constructed by Nauta for Karstensens. 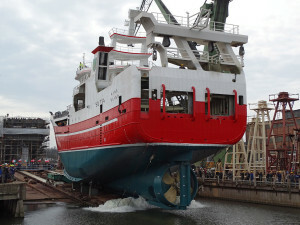 The vessel is 56.5 m long and 12.5 m wide, with a depth of 6.5 m.
Aine during launch at Gdansk branch of Nauta SY. Photo: Nauta SA. 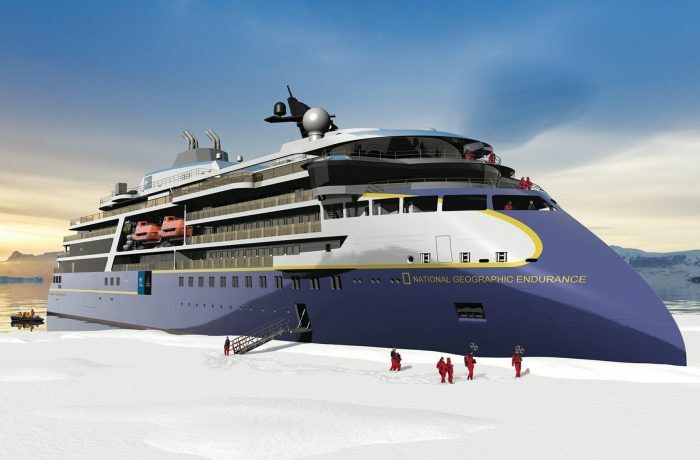 The vessel’s maximum speed will be 15 knots. Pelagic trawlers use a method of fishing that involves pulling trawl through the water. Aine is the ninth unit launched in Nauta for Karstensens Skibsvaerft AS. 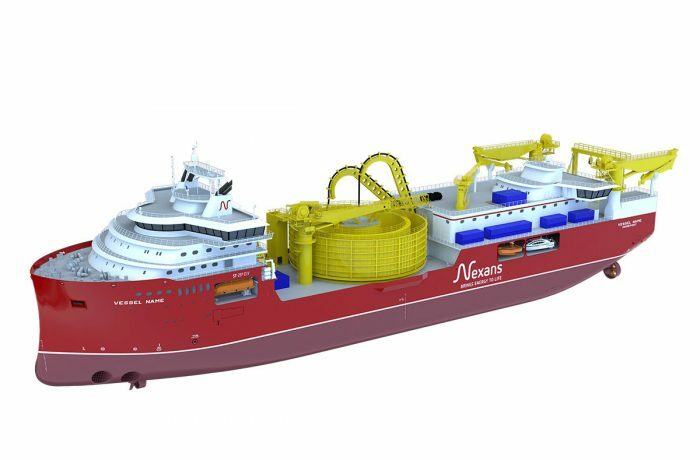 The Danish client has already ordered 17 vessels at Nauta. Further vessels are planned to be delivered to the owners (one of them to final owner) in 2017, QI and QII 2018. In addition to the orders from the Dannish client, a fully equipped fishing vessel Ocean Star for the Scottish owner Mewstead (Fraserburgh) LLP, is presently under construction at Nauta Yard.